Great progress has been made for use of ICT in Indian education in recent years. 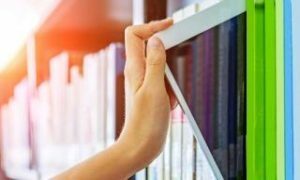 Large investment, improved infrastructure and bandwidth, more equipment and software, all have provided Indian education with great potential to enhance and enrich the learning and teaching processes. However, there remains much room for improvement in effective access to ICT for learning and no consistent pattern of use is emerging. The need is still for the confidence and competence to increase. Although fully effective, practice in the use of ICT is not yet the norm. Technology, although has succeeded in influencing the education outreach and quality in countries like India, supporting processes and frameworks that can sustain such efforts have not yet emerged; the basic issues of quality, equity and access to education still remain unresolved. The experience says, that best results with digital learning are often not achieved by quick and radical new approaches but by well conceived process with a clear eye for some measurable results. digitalLEARNING India 2007, the conference and exhibition is thus planned as such a consultative process, to provide a forum for discussion and collaboration, to engage the participants involved in ICT and education activities, in and outside the country. digitalLEARNING India 2007 (http://www.eINDIA.net.in/digitalLEARNING) was organised under the umbrella event eINDIA2007 (http://www.eINDIA.net.in), the third annual ICT4D forum in India convened by Centre for Science, Development and Media Studies(CSDMS) in collaboration with Department of Information Technology, Government of India and UNDP. The four days forum rendering active conferencing, networking and showcasing happened in conjunction with eINDIA2007, from 31 July to 3 August 2007 at Hotel Taj Palace, New Delhi, along with six other seminal tracks- egov India2007, Digital Learning India2007, Telecentre Forum India2007, eHealth India2007, mServe India2007, Community Radio2007. There was also the first ever film festival showcasing grassroots initiatives and innovations in ICT usage for those who need it the most. Provide a collaborative forum to participants to share knowledge and ideas enabling them to develop multinational and cross-industry contacts and partnerships, as well as to enhance their knowledge, expertise, and abilities. Give policy recommendations on the basis of the evidence available in order to create favourable framework conditions for effective ICT integration as well as future fields of actions at national and international level. The Programme Adivisory Board met on the day in New Delhi to discuss and deliberate on the digitalLEARNING India and eINDIA agenda to take appropriate shape. The Meeting saw participation from the Programme Advisory Board members representing from Government, Private sector and civil society organisations. 31 July 2007, the inauguration of digitalLEARNING India in conjunction with eINDIA2007 saw a grand ceremonial time amongst the huge participation of around 1500 delegates. Dr M P Narayanan, the President, CSDMS, while welcoming the august gather, acknowledged the event as one of its kind ICT for development event for the country and even for the region, which has witnessed enormous growth from strength to strength in the last three years, expanding its horizon, terms, coverage, intellectual value addition, stakeholder engagement and last but not the least the overwhelming response of people from every nuke and corner of the ICT ecosystem, standing across the government, industry, international agencies, research and academic institutions, etc. This year, with more than 350 speakers across 7 thematic tracks, with delegates from more than 35 countries, comprising Asia, Africa, Middle East, Europe, Latin America, North America, etc., eINDIA2007 has been able to garner enthusiasm from among both national and international communities. Dr. Maxine Olson, United Nations Development Programme (UNDP) Resident Representative in India, delivered the introductory remark. She said, the real benefits of ICT, while not in the provision of development per se, but rather in its application, to create powerful social and economic networks, that dramatically improve communications, exchange of information, and cohesive participation of all stakeholders. She expressed her pleasure for eINDIA adding two strings this year- one on ‘Community Radio’ and the other on on ‘e-Agriculture’ that exemplifies the continuing challenge, both to provide access and to provide relative and relevant content. Champak Chatterjee, Secretary, Department of Secondary Education and Literacy, Ministry of HRD, Government of India, while discussing about the empowering role of education and ICT as tools for the society and its people, gave a broader picture of the educational achievements and the road ahead for the country. He said, investment in the elementary education sector has resulted in satisfactory outcomes. 94% of the country’s rural population have now schools within a distance of 1 km from their place of residence. The gross enrollment ratio has also gone beyond 100 and our drop-out rates have significantly reduced across all levels of education. 2.2 million children with special needs have also been enrolled in elementary school processes. ICT in classroom transactions has gained impetus. Thiru A. Raja, the Minister for Communications and Information Technology, Government of India, in this occasion launched the i4d film festival programme guide, and i4dtv, which will be the first step in having i4d case studies online in a video format, as a portal (www.i4dtv.org). He also launched the m-Connect magazine to focus on mobile for development, with which, CSDMS publications entered into one more sector of development. The minister also launched the eAgriculture portal, which is the first eAgriculture portal, not only in India but also in the Asia region. Astrid Dufborg, Executive Director, Global e-Schools Initiatives (GeSCI), Dublin, Ireland discussed about GeSCI’s useful collaborations with a number of countries, civil society organisations, private sector partners, international organisations. 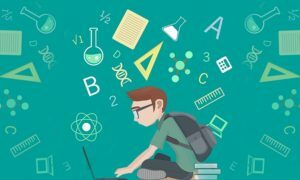 Citing a recent study in Scotland, that shows no significant change and improvement resulted by the students, despite enormous investment on providing computers to the schools. ‘There is a need for setting priorities for revisiting the pedagogy, curriculum, content, training of teachers, setting up the structures for actually making full use in the education system of the opportunities that ICTs provide. I think that India has enormous potential of actually taking the lead world-wide when it comes to effectively showing what can be done by the ICTs in the area of education, and for the purpose of improving lives of the people, empowering communities and improving the employability of youth’, she said. Isabel Guerrero, Country Director – India, World Bank, while giving her inaugural address said, in the huge transformation potential of ICT, the World Bank is an enthusiastic supporter of the government of India, in using ICT as a strategic tool for development. Expecting some deliberations to be made, she posed three very vital questions to the conference forum – (1)What needs to be done to ensure that ICT initiatives are scaled up and implemented in financially sustainable projects? (2)How can India build on the success of ICT to develop e-Government systems, which provide tangible day-to-day solutions to the urban and the rural poor? (3)What are the opportunities for private sectors and civil society, to work with the government to create and expand use of ICT and create a culture of e-Government? Michael Clarke, Director of IDRC’s Information and Communication Technologies for Development (ICT4D) programme area remarked on how India plays a big role in contributing to the world’s intellectual resources, by demonstrating the advancements with its own ICT agenda. Dato Dr. Halim Man, Secretary General, Ministry of Energy, Water and Communications, Malaysia, delivered the guest country lecture. Highlighting the transnational areas and scope for collaboration, Dr Man said, ‘The rural communities of India, China, Malaysia, Indonesia, have similar issues and challenges and require similar assistance. Thus we could collaborate to provide the solutions that they require in a more efficient manner.’ In e-Education, Malaysia has connected all 10,000 primary and secondary schools, through broadband. Life-long education has emerged a new paradigm. It has a distance education system, called the network multi-media education system, questions in ICTs and engineering upto masters level are transmitted through satellites, to remote sites, in real time. This is another area, where Dr Man sees opportunities of collaboration and cooperation. The grand inauguration of eINDIA2007 was followed by the inauguration of the eIndia2007 exhibition. The show of Digital Learning began with Envisioning e-Learning by some eminent representatives from this sector both from India and outside, including Shantanu Prakash, CEO, Educomp Solutions, Dr. Subarna Shakya, Executive Director, National Information Technology Center, Ministry of Environment, Science and Technology, Government of Nepal, Chris Thatcher, Director, SE Asia Educational Development, Cambridge Education, Thailand, and Dr R. Sreedher, Director, Commonwealth Educational Media Centre for Asia, Commonwealth of Learning. 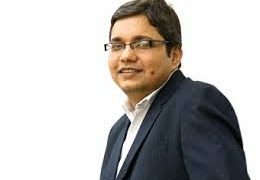 In the visions of Shantanu Prakash, e-Learning is here to stay. ‘But while e-Learning maybe all around us, every person specially in the Indian context is not a participant in the e-Learning revolution. That is where we see one of the critical challenges’, he said, while presenting his keynote address in this session. Educomp’s smart class have a million students in India today who are experiencing a different kind of classroom, where while the teacher is teaching, the teacher has the ability to pull up in real time from a library of over 12,000 multi-media objects, 3-D animations to show the students. There are now over 1 million interactive whiteboards installed around the world projected to increase to around 5 million in the next 3-4 years. The use of this platform is showing better test results, as improvement in test scores from 10-15% better. One of the surprising results has been the teachers productivity. Chris Thatcher’s vision is to predict the needs of the 2040s, predicting the technological advances. ‘Ensure ICT in the right place, put assessment in its rightful place, evaluating the individual, evaluate the impact of ICT to refine its use, and be practical, realistic and keep schools, teachers and students at the forefront’, he mentioned. The session confronted with some heated debates on some issues like how to deal with changing of classroom politics in schools, whether personal touch is still required for classroom teaching, to what extent can e-Design be constructivist in nature, etc. Dr R Sreedhar while articulating the vision statements as the moderator of the session, reiterated changing the attitude of the teacher and their role. Most importantly, bridge the digital divide and make it a digital dividend, he remarked. After the vision session, the session on ICT in Education Programme Management, Monitoring and Evaluation, discussed on some country experiments with ICT in education programmes, some case studies, their impact analysis, the factors of success of programmes, conceptualisation of effective ICT evaluation systems, the stakeholders in evaluation, indicators of ICT-based projects, the performance indicators, indicators for practices for ICT-enabled classrooms, limitations and challenges, and on how to integrate programme management methods in ICT in education systems. ICT in Education is not only learning, but a movement. As Educators, learning professionals, our role is to ensure that no individual is found wanting in a performant situation for the lack of knowledge, skills, tools or the requisite resources. At Edutech we help you make that happen. R P Pal, Secretary, Department of IT, Goa projected some ambitious plans like a notepad system that can reduce the load of the students, and also the alternative sources and websites to be made available and accessible through home computers. Goa is one of the states which has made every student eligible after 10th standard for a computer system, and as of now 47,000 homes have got the cyber age computers. The target is 80,000 homes to have computers and those which are left out in the remote villages will have community centres available at their doorsteps by March 2008. Bringing in the experiences from US Education system, Hari Iyer, Director, Core Projects and Technologies Ltd, talked about how to close the achievement gap. ‘We need to have a disciplined organised approach in capturing student data, staff data, financial, data, funding facilities, testing, school nutrition. There is a need to introduce a common bond between states and districts. We need to introduce a common unique identifier that remains with student. This kind of software needs to be in every district, to be used by every block and cluster, to be used by school first. According to 2007 Economist Intelligence Unit’s, eReadiness report, India is ranked at 54 with a tie with the Philippines. According to 2006 Times Higher Education Supplement rating of world universities, Three Indian universities are listed in the top 200. IIT is at 57, IIM at 68, and Jawaharlal Nehru University is positioned at 183. 7% of age group 18-24 enters higher education – half of Asia’s average. Dr Anjalee Prakash, CEO, Learning Links Foundation, in her presentation put forth the need for quality benchmarks for education that would help in clear guidelines and aid assessment for all stakeholders. Dr Prakash tried to brought forth the attention to such an effort already made through a foundation which was set-up earlier this year, called the educational quality foundation of India, by a group of educationist based in Delhi.While Ravi Sinha, Staff Scientist, C-DAC, Bangalore, discussed on the school management, monitoring and evaluation issues, Vikrant Mahajan, National Coordinator, Sphere India, shared on the M & E model for RedR e-Learning. Randeep Kaur, Learning Advisor, Plan International India, who was Chairing this session, summerised and suggested, ‘We do have achievement level surveys done by caste and income levels, done by NCERT, done by Sarva Shiksha Abhiyan. But one of the issues we constantly face is teachers don’t have access to good administrative solutions for them. So technology like touch screens or technology that can work for remote areas, any hardware and software if are configured, can be something of a solution. Some suggestions came out of this session. Observing the trend in US, the suggestions came for putting money in the teachers salaries so that there be an increase in the closing of the achievement gaps. To overcome the issue of teachers left with little time after the class to address the students, the ‘Early Intervention’ and ‘after schools programmes’ models of US were suggested. The parents are also encouraged to come and help and not delegate responsibility to school teachers. The following session Effective Digital Learning Designs and Delivery Platforms, moderated by Sonjib Mukharjee, CEO, Metalearn, identified some of the existing ICT teaching and learning delivery systems, the technology options available, the technology options catered by the various delivery platforms, discussed on how to get knowledge on using new tools and learning content management system and how to Keep knowledge on developing multimedia coursewares, based on sound learning theories and instructional strategies. Nancy Knowlton, CEO, SMART Technologies, Canada, showed the overall improved results of the whiteboard when deployed across UK and other places. It increased the productivity of the teachers. local contents and to update the technology repeatedly. K M Taj-Biul Hasan, Producer (TV & Radio) Media Centre, Bangladesh Open University, discussed the power of radio. Two programmes of television in Bangladesh changed the social approach towards the endemic issues of development. Priya Khanna, Lecturer, Amity University, shared the theory of constructivism where the people create their own knowledge and learners are not blank slates. Multiple intelligence to be implemented in e-Learning as far as we can, Priya suggested further. Rishikesh Patankar, Senior Research Scientist, Media Lab Asia, discussed the importance of Learning Management System, to have an organisation-wide learning and to be able to register-deliver content, track the learners and assess them and integrate them in low cost using technologies which are available to be integrated. After the intense deliberations and discussions during the three sessions, the participants met with one more panel over the Gala Dinner, comprising Dr Lalzama, Minister of State, Higher and Technical Education, Mizoram, Rohit Kumar, Country Head- Public Sector, Microsoft India, and Michael Clarke, Director of IDRC’s ICT4D programme. Ganesh Kumar, Head of US operation, Edutech, the sponsor for the Dinner, while welcoming the delegates to the gala dinner, said for over 17 years Edutech has been engaged in the pursuit of providing complete learning and information solutions to academic institutions, research, government and various military and corporate bodies across the world. Some of the institutions Edutech is working with in India introducing the Blackboard learning system, include, Indian school of business, Kerala Education Grid, Manipal University, etc. Ganesh Kumar then invited Mike Erlin, VP, Asia Pacific, Black Bord to share his experiences during the dinner. Blackboard is one of the key partners of Edutech, the leading learning platform in the world today. Blackboward in last 10 years covered Higher Education, K-12, and corporates in different countries. Mike talked about the shifting drivers amongst some of the key constituents playing in the education space, and also on how organisations in different regions have invested in infrastructural approach of learning models. In his view, in terms of forecast, the problem is no longer about human labour, its about human capital. He also discussed the Educational Technology Framework (ETF) that has emerged over the past 10 years. A small conversation among the rest panelists happened over the dinner moderated by Dr Ravi Gupta, the Executive Director, CSDMS. The panel discussed on ICT for development, and taking ICTs to the next level, while answering to a very basic question like- what are the next big drivers, that are going to change the shape of ICT4D, as a concept, as a theory, and as a science. Dr Lalzama, the Minister of State, Higher and Technical Education, Mizoram announced the state’s vision to make institutions of higher education technological-driven and quality-motivate institutions to impart world-class education by 2020 AD. The department of Higher & Technical Education, has drawn up an Action Plan during the XI Plan towards realising the visions, that includes establishment of Mizoram Engineering College, 6 Polytechnic in 6 District of Mizoram, Construction of College of Teacher Education building, and more. While Mizoram records second highest position in literacy percentage of the country, it is lagging far behind in the technical education from other states. The second day morning of Digital Learning India started with a primal session e-Readiness of Higher Education: Challenges and the Way Forward, which while looking into the future perspectives of usages of ICT in the higher education sector, discussed and addressed some important issues. The presenters in the session discussed some of the aspects of the preparedness of universities and educational institutions towards ICT and Education, their strategies and outreach in this direction, whole-campus technology strategies, sustainable and replicable learning environment, teaching and learning community development, their exposure to ICT skills, education delivery scenarios trough ICTs, the different learning settings with changing demands, choices, flexibility, curriculum integration, information skills, content resources, available support, role of leadership, roles of the private sector and scope of partnership, and available policy and investment support and the need further. Shameema Parveen, Knowledge Officer, Edutech presented some of the interesting figures about India’s current status in higher education. Shameema emphasised on the sector’s need of actual e-Readiness, not just the technology-readiness, which should include all aspects of strategic palnning, leadership support, training of faculty, new teaching practices, integration to curriculum, etc. Dr R. Karpaga Kumaravel, Dean, Professor and Head, Dept of Educational Technology, Bharathidasan University, Tiruchirappalli, discussed on some of the issues and concerns of knowledge packaging in dogital form. He presented a case study of the reflections, experiences and recommendations of the authors who are involved in the UGC’s Special Assistance Programme on e-Content development in the state of Tamil Nadu. The problems identified as, there is a dearth of variety in the courseware, teachers’ difficulty in conceiving instructional content in visual form, lack of required infrastructure, lack of administrative support, lack of enthusiasm among teachers, lack of training in instructional designing. Some approaches and solutions made in this line are, the Government of India should develop a charter for e-Learning in the Indian context. There is a need for new focus of collaboration among institutions at the regional, state, national and international levels. And among some other suggestions, teachers should be empowered with easy access to wide range of instructional designs and technical support tools. Kuldeep Nagi, Asst Director-e-Learning, Assumption University, Thailand discussed various challenges that Indian universities may face in the areas of courseware design and eLearning methodologies, discussed how the role of the Guru is being replaced by Google or the Internet, and commented on India’s capability of creating new tools and technologies with its lead in software engineering that can enable universities to respond to the challenges of creating quality e-Learning programmes and courseware for the changing higher education market of 30-40 million Internet users and 30 million users of mobile devices in India. K S Lasith Gunawardena, Lecturer, University of Sri Jayewardenepura, Sri Lanka shared his experiences on delivery of blended learning for mastering application packages. The value of using ICT in the schools and educational institutes is best realised when appropriate content is developed and used to enhance and support learning, teaching, administration and management This involves the production and consumption of local, relevant and appropriate education content through multimedia application of ICT. The following session under the leadership of Anshul Sonak, K-12 Education Program Manger, Intel India, tried for a careful analysis of the current context of content that countries find themselves in and outlined some key issues that need to be addressed together in the area with proposed methods of doing it. Madhu Ranjan, Education Programme Specialist, USAID India and Vandita Sharma, Country Director, EDC India, shared their experiences with T4 project that has implemented a range of ICT based interventions in its four intervention states in India by concentrating on certain key factors such as partnerships with state governments, sound pedagogical strategies, alliances with local NGOs, intensive monitoring and evaluation, and contextualised programmes and products. They emphasised on the critical importance and need of two more things- the broad-basing partnerships and having a clearer ICT for Education policy framework. Niranjan Meegammana, the Project Director of E fusion pvt Ltd, Sri Lanka shared his experiences about the Shilpa (meaning sea of knowledge and skill) project, which is an effort to empower rural students with self learning approach of using ICT. Adrian Hall, Director Mobile Learning, Steljes Ltd, United Kingdom on the backdrop of DfES ICT Policy in UK, mentioned about the commissioning for innovation, how teachers and children use ICT across a range of subjects. The teachers now use complete software packages, individual learning objects, user generated content, games, and mobile devices. He said, the aim of the innovation now is to make language learning fun for young children. 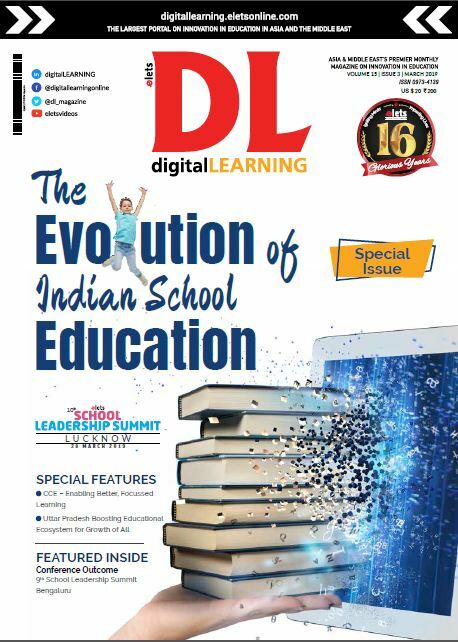 R L Saxena, VP, Educomp Solutions also commented about the contents and the process devised by Educomp solutions that keeps the classrooms engaged. Empowering Educators- this session attempted to answer some of the key questions of Educator’s capacity building and also deliberated on the best strategies for facilitating the Educator’ seamless progress from the traditional role of an instructor to the new role of a facilitator of e-Learning. Cho, Cheung Moon, Director, Global Cooperation and Planning Team, Korea Agency for Digital Opportunity and Promotion (KADO) discussed about improving digital literacy among disadvantaged class – the elderly, people with disabilities and women. Apart from doscussing The 2nd National IT Plan, 2005 provided IT education to cultivate 5 million e-KOREAN. Buckley Dan, Principal Consultant, Cambridge Education, England, in his presentation, explored the frameworks that are emerging for truly personalised learning and how to safeguard the progress and life chances of children as their schools transform around them. He described the P-route (personalised route) and T-route (training route) models of personalisation and the implications of each on school design, curriculum design and the ICT tools required, including the PbyP (Personalisation by pieces) approach. Vasu Chikkatur Murthy, President, Tri State Counseling and Mediation, USA, talked about empowering parents as educators in e-Learning, by discussing the role of parents, the myths and fears posed by technology as well as provided guidelines on how to be prepared for the future, through some case study method analysis. R N Prasad, Group Manager, Education and Research Dept, Infosys Technoligies, described a framework for effectively designing and conducting industry-relevant training programmes to the faculty in Engineering. How to redesign an existing teacher education programme into which technology is to be woven for diverse user requirements? What are the key skill requirements for Educators? Introduce a technical assistance network for ICT teaching to act as an interface to deliver skills ? What should be the standards for teacher training delivery and assessment mechanisms? After the empowering of educators, the conference tried to seek answers on similar questions on professional development and teachers’ capacity building with ICT. Anshul Sonak, K-12 Education Program Manger, Intel India, explained about the professional development with the Intel Teach Program, a pre-service and in-service teacher training programme designed by teachers, for teachers, that reaches to over 4 million people in 36 countries. Intel Teach – India Program spreads over 15 States, 720 000 teachers, approximately 32000 government schools, over 268388 government teachers in states, 507 ICT teachers under Central government, 35 universities, and 148695 private school teachers. The Quality Education & Skills Training Alliance (QUEST) hosted a panel session to bring forth ideas and thoughts that will help formulate policies for utilising ICT in developing learning interventions using sound instructional design principles. The panelists in the session tried to explore lessons learned and inputs from the previous Instructional Design Workshop to steer the formulation of a policy framework that supports effective instructional design strategies to promote learning. Moderated by Ashish Garg, the Program Coordinator – India, Global e-Schools and Communities Initiative, the panel constituted some eminent Quest partners, Sourav Banerjee, Education Specialist, USAID India, Aakash Sethi, Executive Director, QUEST Alliance, Dr Radha Ganesan, Training & Design Specialist, QUEST Alliance, Prof. Marmar Mukhopadhyay, Director, Educational Technology and Management Academy, Naimur Rahman, Director, One World South Asia, and Douglas Bell, Education Advisor, Education Development Centre. This attempt towards aggregating recommendations that are to be used to draft a framework, compiled some suggestions in this line, which include, establishing a process for integrating technology seamlessly in the learning context, developing a competency framework for teachers, revamping teacher training to include multi-technology modes, recognising of teachers for innovation, by sharing best practices, establishing a process for deployment of ICT interventions- not merely deployment of computers but development of content, training, delivery, and evaluation, establi-shing a process for sharing information, and hiring qualified ID individuals. Deliberations started on a new and exciting field, Virtual and Web-based Education : The Future, most of the discussions in which revolved round best practices of virtual education, national and international policies and strategies on web-based education, projects on virtual universities and other web-based education, tools and web-lecturing technology, collaborative efforts to build online communities of educators and learners, etc. M Sivakumar, VP, ViTELS, Everonn Systems, discussed about the strengths and challanges of virtual learning and the role Everonn plays in it. Everonn’s virtual classrooms include 125 higher/ secondary high schools in Tamil Nadu, 195 Engineering, Arts, Science colleges in Southern India, 15 career development centres in major Indian cities, and classrooms in various corporates. e-Learning and e-Content Development, Maharashtra Knowledge Corporation Ltd (MKCL), discussed about MKCL’s Online Certification Test (OnCeT) for IT Literacy Trainers. There are 3002 authorised training centers from where the teachers appeared for OnCeT. Dr. S. Varalakshmi, Professor of Economics, Kanchi Mamunivar Centre for post graduate studies, Pondicherry, portrayed online teaching as a new modality to distance education, and as a promotion of collaborative learning, explained the role of a teacher and the emergent educational paradigm. Srinivasan Ramani, Director, Science and Technology, HP Labs India talked about how to promote peer review and peer to peer learning, and suggested one of the method to have a rating on individual contribution by other students benefiting from it. The techniques available to do this will eliminate poor content. So a tutorial system by students themselves could be developed. as it is not teacher-less but virtual education. The in trinsic value of ICTs lies in the integration of the technology to support and enhance learning and teaching in schools. The following session while giving particular emphasis on technology mediated education in schools, discussed about the maintenance, support, and some more vital issues and aspects of ICT integration, including conditions for ICT effectiveness met for schools, connectivity issues, software and hardware issues, networking of educational institutions and shared services, the deliverables by the IT industry, implementation possibilities in current scenario, etc. Ashlesha Thakur, Head, Education Empowerment, a business unit of Educomp Solutions, while looking at future schools being able to connect to industry, to academicia, university, to the world around, mentioned its time to introspect, to look at an environment which is extremely continuous and which is adoptive to every child’s requirements, where we have reached, and whether we are on the track. Citing the example of Alumni connect programme in a Mumbai School called the School connects, she discussed the importance of having such vision that can lead to better future. Ashish Dham, Managing Director, Globus Infocom Ltd, presented the roadmap for the future school, with some simple but powerful tricks like maximum use of existing solutions available, quick decision making, organising more events to spread awareness, modernising teacher’s training, openness to Public Private Partnership, etc. Col. K J Singh, Director, Designmate, discussed about hardware issues in Indian schools, about the computer syllabus in schools- the computers and computer teachers. H N S Rao, Deputy Commissioner of Navodaya Vidyalaya Samiti, put forth the future plans of e- Contents being prepared by each Jawahar Navodaya Vidyalaya (JNV) for comprehensive classroom transaction, M.I.S. for all JNV activities, expanded EDUSAT connectivity/vSat connectivity, establishing portal and networking between head quarters, regional offices and all JNVs, 24 hours Internet in all JNVs, and video conference with regional offices and JNVs. Dr S P Kulshrestha, Technical Director, NIC, Uttarakhand, talked about the School Management System with ICTs. Dr Utpal Mallik, Joint Director of the Central Institute of Educational Technology, NCERT, while summeri-sing the session discussions as the Chairperson, emphasised on the call for learner-centric pedagogy and yet there are not many sustainable models for learner-centre pedagogy. The main obstacle before the child centred pedagogy is our classrooms, every animate and inanimate object has a defined role and anything that is defined has a limited scope. The concluding session of Digital Learning was designed in such a way, in which the conference track discussions were summarised for the main recommendations and research gaps identification in each of the sessions of the conference. The session synthesised track summaries across all topics and areas, summaries on the main themes discussed at the conference, as well as an overall summary of key policy recommendations. The outcome is to assist all the stakeholders in understanding the ICT and Education status fully in the country, so that the interventions can be made effectively and can be taken forward to achieve a desired goal. The session took shape through an open discussion from the floor moderated by Randeep Kaur, the Learning Advisor, Plan International. The Digital Learning India 2007 along with eINDIA 2007 came to an end in the evening with the Valedictory addresses from Subhash C Khuntia, Jt Secy, Ministry of HRD, Dr William Dhar, DG, ICRISAT, Partho Bhattacharya, Chairman, COAL India Ltd, Johra Chatterjee, Jt Secy, Ministry of I&B. It also witnessed the Award giving to the winners as Power School and i4d innovators. Dr Ravi Gupta, the Convener of the eINDIA2007 conference and exhibition, hosted the Award giving function, in which Springdales School, Pusa Road, New Delhi was declared the Power School of this year, for demonstrating a strong commitment to innovative teaching and learning practices. The seven i4d Awards conferred on the ICT based projects from various parts of India and South Asia in the areas of digital literacy, e-Governance, empowering livelihoods etc. also recognised the innovators in the education sector. The award winners are NIC, Bihar (SCORE), All India Society for Electronics and Computer Technology (AISECT), Madhya Pradesh, Kerala State IT Mission (Akshaya), Central Informatics Organization (CIO), Govt. of Behrain, efusion Pvt Ltd, Sri-Lanka, Gedaref digital city organisation (GDCO), Sudan, and Core Projects and Technologies Ltd of Jharkhand. While the conference was approaching to the closing time, Subhash Khuntia, the Joint Secretary, Ministry of HRD, mentioned, ‘In a country like India where we have more than 200mn children in schools, and which is 1/5th of our population, it is very important to concentrate on the aspect to develop IT skills. He discussed about some issues of connectivity, and the need of more Public Private Partnerships, about which he expected that this kind of a conference will contribute to the cause. There is need for repeated demonstration of ICT programmes, projects or any of the ICT attempts, even if in small scale, to generate adequate awareness. Teachers are not equipped in ICT training, so teachers’ training should be more directed towards teachers’ skill improvement with ICTs. A portal for teachers is recommended in this direction, providing the models, framework for teacher development. Active database of practices is needed that take place in schools, which can also influence the policy process. A call for a learner-centric pedagogy using ICT based tools. Need to have computer assisted learning in classroom transaction with a clear focus of at least 8 hours of embedded ICT instruction a week across different subjects in the curriculum. 25,000 to 30,000 schools actively use ICT solutions. Documentation of their case studies and evolving success stories from them is recommended. Having some regional seminars at state level like eINDIA will help in bringing more awareness, which is lacking at the moment, as this is more sort of national and international. Dr Ravi Gupta, the Executive Director and Dr M P Narayanan, the President of CSDMS extended profuse thanks to all delegates for making the conference successful. The Valedictory of the conference, however, marked the beginning of i4d Film Festival the following day, that captured some of the short films which talked about the use of ICT tools in poverty alleviation, gender issues, health, human rights, education, governance, and more.